Staycations and road trips are probably two of my favourite things – so I always jump at the chance to grab a bag, jump in the car with the girls and go for a little drive. Hello Scotland… I mean where else would you go? We started in Edinburgh, walking through the beautiful streets soaking up the culture…and of course looking out for bagpipes! Drove on long and winding roads, rolling through the countryside for miles and miles. Be sure to visit Glencoe, it is simply breath-taking! We also had time to stop at the smallest distillery in Scotland. The distillery is quaint, charming and everything you’d expect. It’s fairly rare as the distillery doesn’t produce much at all (it makes in a year what some larger brands make in 3 days…) so keep your eyes peeled for it next time you’re out or about. You really haven’t lived until you have tried Edradour! 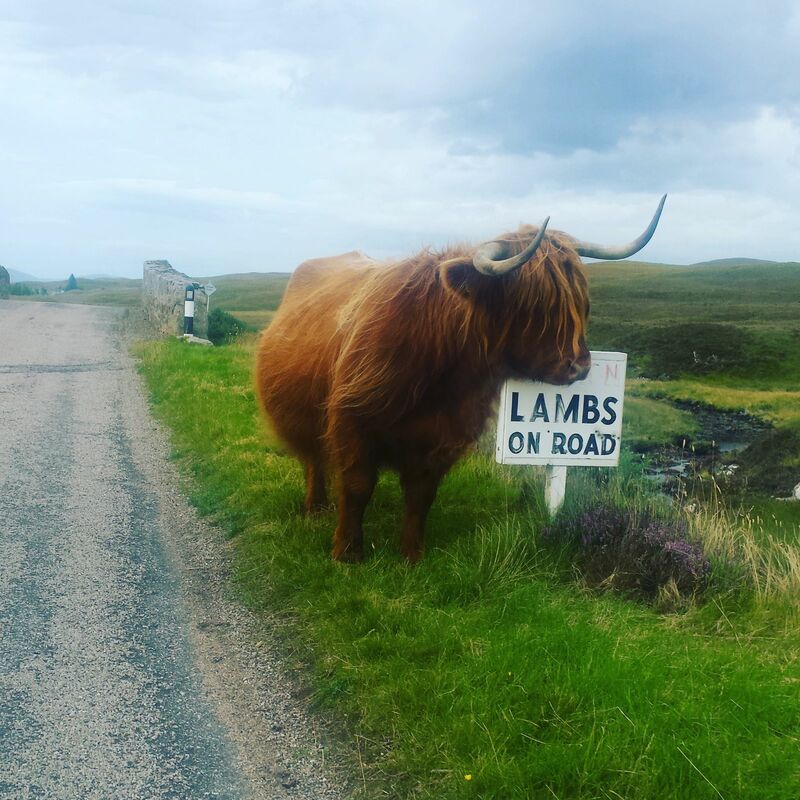 We drove through the Highlands, spotting the locals on the way (even if they were a little confused about their species)! We curled up in a teeny-tiny cabin on the coast and spent some time relaxing, reading books and enjoying the sunrise and sunsets. The morning was filled with ambles, castle visits and a sneaky visit to the Smoo caves. Sadly our time in Scotland came to an end but I will be sure to come back and venture to some of my favourite spots again soon. Any advice for my Scottish staycation #2?